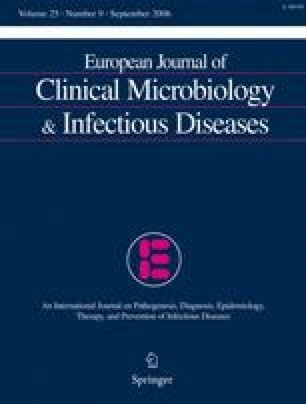 The prospective case series study presented here was conducted to assess the outcome of patients with infections caused by polymyxin-only-susceptible (POS) gram-negative bacteria managed with intravenous colistin. Between July 2003 and April 2005 a total of 27 patients were infected with a POS gram-negative bacterium and received intravenous colistin at a dose of 2 million international units (MIU) (160 mg or 66.7 mg colistin base) every 8 h for a mean (±SD) duration of 13.9 (±7.5) days. Nine patients had ventilator-associated pneumonia and received, in addition to the intravenous colistin therapy, 1 MIU (80 mg or 33.3 mg colistin base) aerosolized colistin every 12 h for a mean (±SD) duration of 13 (±6.5) days. The predominant pathogens were Pseudomonas aeruginosa (n=17) and Acinetobacter baumannii (n=12); in two patients both pathogens were isolated from one clinical specimen. In-hospital mortality and clinical response were 15% and 85%, respectively. Colistin-associated nephrotoxicity was observed in two of the 27 patients. POS gram-negative pathogens represent a major threat for hospitalized patients. Colistin appears to be an effective and safe treatment, even in patients with severe underlying diseases.